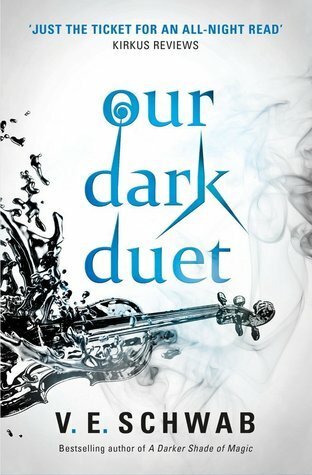 This week my teaser comes from Our Dark Duet by Victoria Schwab (yep I’m finally reading it). As I’m writing this I’m around halfway through and absolutely loving it. Note: this is the second book in the duology so while my teaser is spoiler free you may want to avoid the blurb at the bottom if you haven’t read Our Savage Song. He’d always loved Newton’s law of gravity, the part about things falling at the same speed, no matter what they were made of. A steel bearing. A book. A human. A monster. Love the teaser — makes you stop and think! Sounds fascinating. I’ve yet to read V.E.Schwab books, but I should pick one up. It sounds right up my alley. You definitely should. This series is good but I’d recommend A Darker Shade of Magic. Just finished this book last week and LOVED it. Soooo good. Great teaser! I skipped the blurb because I haven’t read the first book yet. So ironic that a blurb for one book would spoil the previous. I really need to read this! !